I'm using VirtualBox 6.0.4 to run a Ubuntu 18.0.4 guest on a MacBook Pro 2018 host with macOS Mojave. The MacBook host has an i7 processor and 16GB of RAM. Along VirtualBox, I'm running Google Chrome. 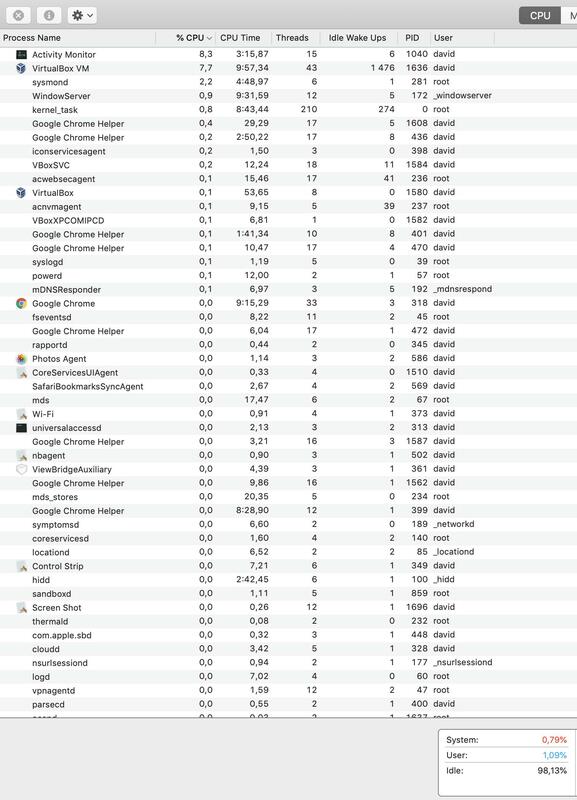 According to Mac Activity Monitor, the CPU is mostly (90%) idle. The virtual machine is too sluggish: whenever I drag a window across the screen it moves slowly and rather than moving around the screen smoothly it abruptly changes its location. I've read that decreasing the number of CPUs and the base memory results in better performance, but I've tried this as well (and multiple other combinations) to no avail. Are there any settings that I should check which I haven't mentioned? If you have found a configuration "sweet spot" I would thank you if you could point me in the correct direction. 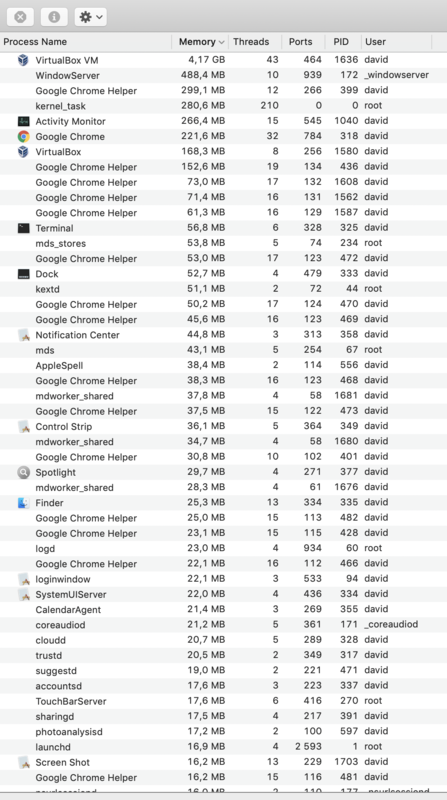 I've added a couple of screenshots showing CPU usage and memory pressure. I could not find a solution to my problem by using VirtualBox. After a week of trying out VMware Fusion I can say it has given me no issues. It runs smoothly and works well with my use-case. I don't see any apparent issues there in terms of how windows or other GUI elements lag. Not the answer you're looking for? Browse other questions tagged mojave performance virtualization virtualbox memory-pressure .